Put down your trusty Nintendo Switch for just a moment, folks; the Wii U's getting a new game tomorrow and it looks fittingly bonkers. Meet El Silla - Arcade Edition, an arcade game where your one and only task is to whack everyone in the head with a chair. It really is as simple as that; players need to help the titular El Silla hit each new character he encounters with a chair to progress. The original game is actually available for free on smartphones and PC, but this Arcade Edition includes new levels, an achievement system, and uses the Wii U Gamepad's motion controls for a realistic chair-whacking feel. The Wii U's tech is finally being utilised exactly how we dreamt it would. You can see how it all works in this gameplay demonstration video below. If you're interested, you can pick the game up starting from tomorrow for just £1 / 1€ from the Wii U eShop (a North American release hasn't been confirmed). As ever, let us know what you think about this one in the comments. Will you be giving it a go? But...... is it on switch? Sofa so good! This purchase will have to take a back seat; I have a huge backlog of Wii U games that I chairish. Worth a punt at £1. The Simpsons joke became a game. Who among us hasn't dreamt of utilizing the GamePad's motion controls to adequately imitate the feel of the Rock vs. Mankind "I Quit Match' at Royal Rumble 1999? It's nice they keep making games for the Wii U, even when they're indie and not deep enough to cost more than that 1 euro/pound. At least it's not another indie project switched to the Switch. And the use of the GamePad is no small feat. It's like some indie developer made a game for the 3DS now and used the autostereoscopic 3D feature. The visuals from the first level are blatantly derivative though. Surely FOX can sue them for that. To think that a meme based on an incidental gag from a now 22 year old episode of The Simpsons now has a whole game built around it. To quote Jasper from another episode, now nearing its 21st anniversary... "What a time to be alive." It really is a travesty that the last 20 YEARS of The Simpsons has had hardly any influence on popular culture at all. The show now has about 3 duds per classic, and The Simpsons was such a rare show where nearly every episode (at least in the old days) could be considered a classic. The Wii U had way too many shovelware games like this. I just noticed that this has music done by Sonucais, an old buddy of mine on Newgrounds many years ago. Lol. I wasn't even aware people still could publish on the Wii U. Were they just working on the Wii U version for THAT long and decided they can't release on the Switch instead? 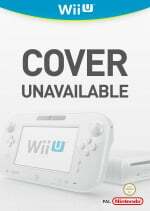 Whatever happened to that limited run wii u game? Has it been announced? 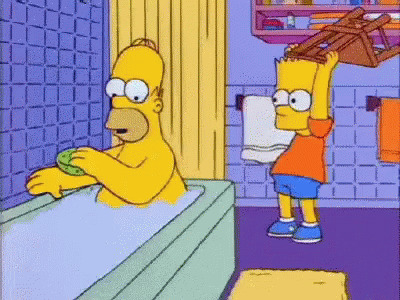 I love Simpsons memes. Might pick this up. @MasterJay Once there's a North American release, I will buy this for the Wii U alone. @liljmoore What you mean is you won't buy it. I am planning on buying it. Looks awesome, and quite honestly, how you can call this a time waster and any other video game not is beyond me. Colour me intrigued, might have to download this one. if it comes to North America i'll buy it. im surely not wasting £226.39 ($292.23) for another Wii U just to buy this game alone. Yeah I'll grab this if it comes to the US. Still waiting for Battle Princess Madelyn on Wii U. I'm gonna buy it on Wii U just to support their loyalty for releasing it. £1 is a high asking price for this turd. @rdrunner1178 I might buy it. I have some money on my Nintendo account and usually I end up with 1 or 2 euros after a purchase, so that could be a good time to buy this game. Even if I play for just an hour it will be worth it. The tongue-in-cheek is strong with this article. It should be "La Silla". Nouns have gender in Spanish and chair is female. Ehh, for a pound I'll pick it up. You never know, the Simpsons/FOX/Disney lawyers might ask to have it removed, much like that stupid troll face game. Shame this game won't get a Miiverse community, would have been pretty funny yo see what it would have been like! Sadly, the "final batch late releases" (games that came out after the console had stopped being made) for Dreamcast, Megadrive, Neogeo, and some other were much better quality stuff than this..
@mystman12 Yeah. LOL. I love Simpsons memes, as mentioned earlier. Damn! I am pretty sure that this game alone would have had the capacity of single-handedly save the Wii u, had it been released in 2014. It's not great but better than smash Bros! Ah, who doesn't love some rubbish?